Women have never before had so many safe and effective options in birth control. At The Women’s Group, located in Pensacola, Florida, our team of leading doctors and can help you choose the one that’s right for you. How do I choose the right method of birth control for me? At the Women’s Group our team is highly knowledgeable about the vast array of choices in contraception available. They can assist in helping you choose the one that best fits your health needs and lifestyle. Today, some 67% of women who use contraception in the United States use nonpermanent methods, primarily hormonal forms, including: the pill, patch, Nexoplan implant, injectable hormones and the vaginal ring. Factors to consider when choosing which method of birth control is best for you, are: your sensitivity to hormones, your desire to become pregnant in the near future, and whether you will remember to take a pill at the same time on a daily basis. The pill has provided protection for countless women since the 1980s. In addition to being 99% effective, it doesn’t require any interruption to foreplay, and offers additional benefits, such as regulating menstrual cycles, reducing problems with menstrual cramping, and is believed to help prevent acne, anemia, bone thinning, and some cancers. Among the potential drawbacks are: having to remember to take the pill daily and that it can cause breast tenderness, nausea and spotting for some women. What should I know before considering the IUD? Intrauterine devices (IUDs) have become increasingly popular. They are small t-shaped devices that are implanted by the doctor in a quick and simple office visit. At a later time when you wish to become pregnant, the IUD is easily removed in a similar procedure. There are two types of IUDs. One releases the hormone progesterone to thicken cervical mucus and prevent sperm from reaching an egg. The other, a copper IUD, is actually a plastic device that’s wrapped with a thin copper wire. The copper ions inhibit sperm movement and prevent pregnancy. The Women’s group offers multiple choices in IUDs, including the leading brands: Mirena, Paragard, and Skyla. 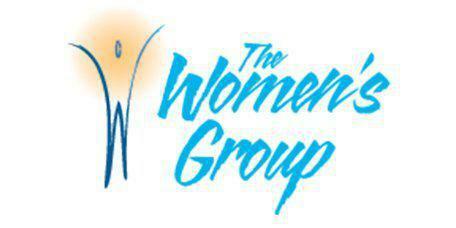 Does The Women’s Group offer permanent birth control? Yes. For women who know they do not wish to become pregnant in the future, our doctors provide Essure, non-hormonal implants. Essure is extremely effective at permanently preventing pregnancy. The implant is inserted and absorbed by your body to block the fallopian tubes, creating a permanent barrier to prevent sperm from reaching an egg.